The City Government wants to create a greener and warmer city with room for everyone. 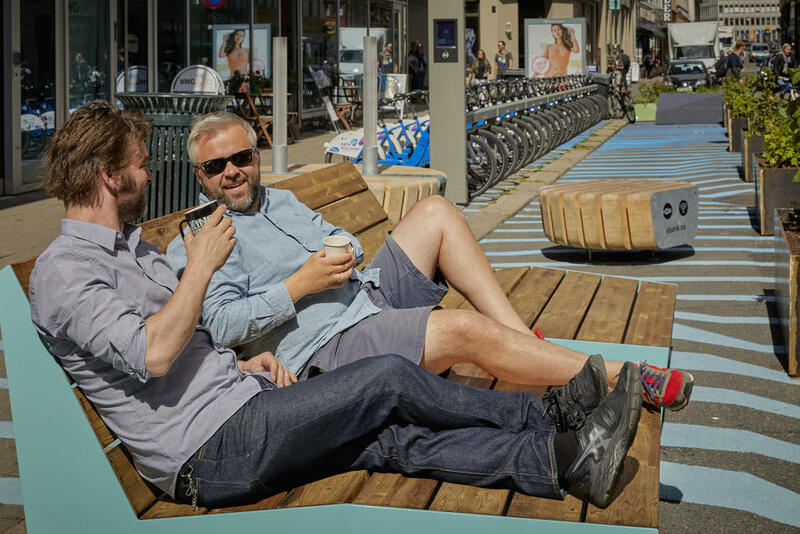 A city center with less cars make more room for life in the streets and pleasant meeting areas. In 2017, the first changes in the city center have taken place to create more room for a city life where pedestrians and cyclists take precedence over private cars. An area of approximately 1.3 km2 will be transformed to a better urban environment during the City Council period 2015-2019. An active city life cannot be adopted, but it has to be created by cooperating between the municipality and residents, businesses and organisations. 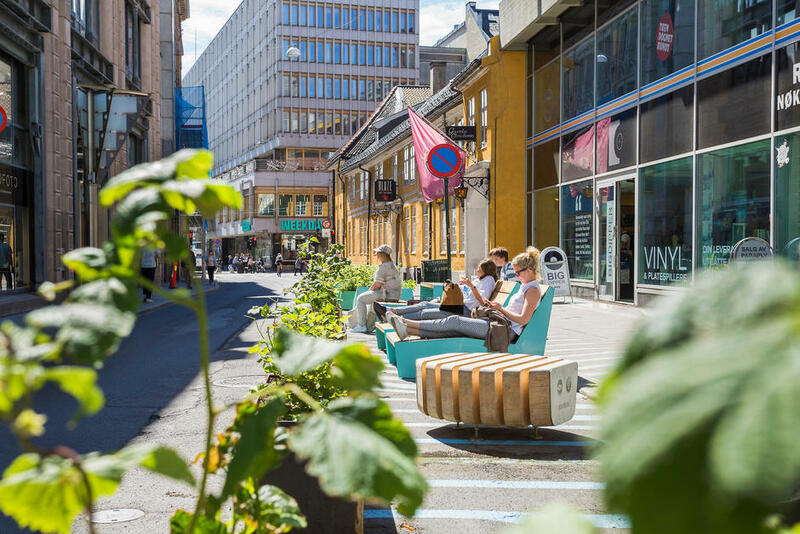 Everyone in Oslo is invited to provide their input: free-time clubs, culture groups, businesses, restaurants, elderly as well as youth, people that are living, visiting and working in the center. In 2017 approximately 300 parking spots has been eliminated. The work continues through the summer of 2018. In total, around 700 street parking spots for private cars will be eliminated. People will still be able to drive a car to the city center, but considerably large areas shall be freed for other needs. The primary focus is to improve city life, and reducing traffic from private cars is used as means to achieve this. 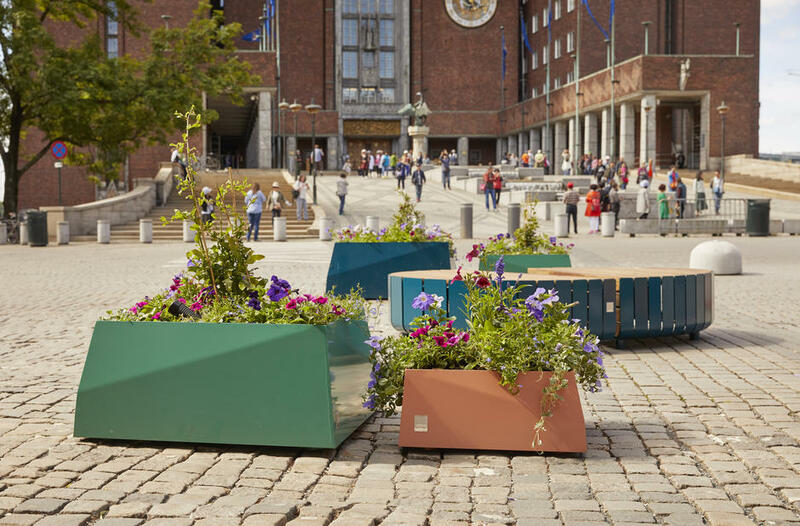 Freed areas previously occupied by cars can be used by the municipality, organizations, businesses and inhabitants to everything from outside dining, culture activities, art, bicycle stands or playgrounds. Towards 2019, more streets will go through a change to facilitate for more city life. The temporary measures will be evaluated before permanent measures will be implemented. Car traffic restrictions will be introduced gradually. In this way, transition to the car free city will be smooth, and adjustments can be made along the way where necessary.